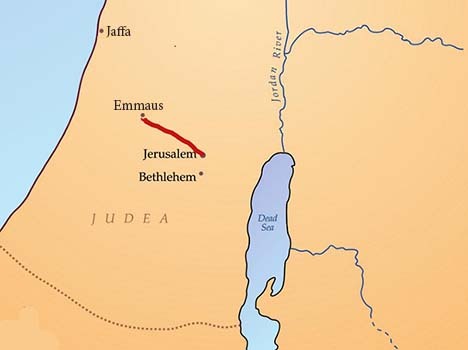 Next we travel the road to Emmaus (pronounced eh-mouse) in the footsteps of those disappointed, grieving disciples who had witnessed the death of their Messiah. 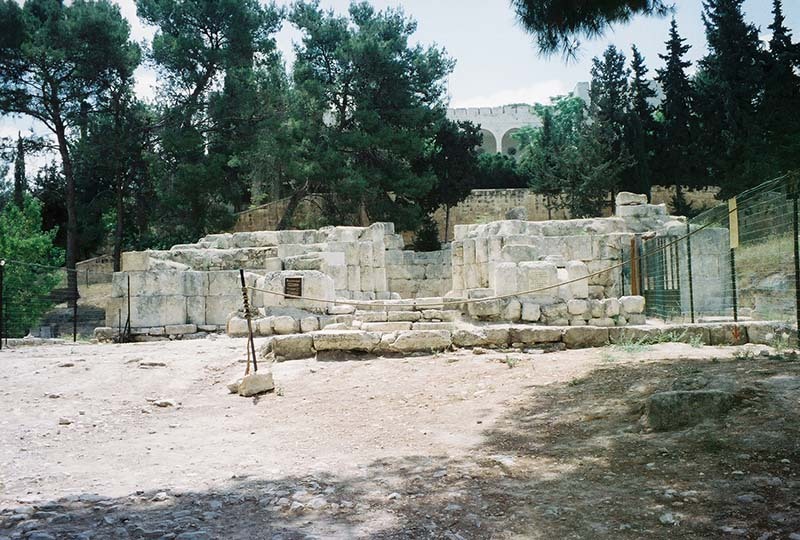 The site where Jesus broke bread with these disciples and revealed Himself is marked by the ruins of the 4th-century Byzantine church below. … And beginning with Moses and all the Prophets, he explained to them what was said in all the Scriptures concerning himself. Lord Jesus, help me to recognize You in the Eucharistic Communion each and every time. Help me to recognize You in the scriptures. Open my mind to understand Your truths, open my heart to accept Your truths in faith even before I gain right understanding, and open my eyes to see Your presence in every person and circumstance of my daily life. Amen!